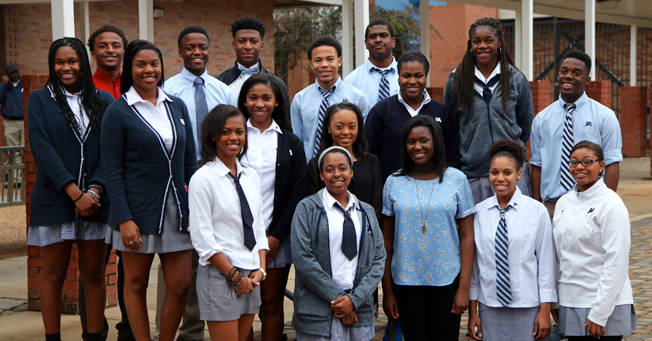 The Black History Program Committee organized an event that remembered the past and looked to the future. Entertainment was provided by Tevin McGuire, a Murrah High senior who has been singing and writing since age 5. The Power Academic and Performing Arts Dance Group presented a performance that was followed by a drama called Take Me Back by Jackson State University’s MADDRAMA, a group that produces plays that reflect the African American experience. JA student Reggie Fullwood offered a poem that encouraged working together to create a better future. With each segment of the program, members of the committee offered historical perspective about the traditions of dance, poetry, drama, and music as means of expression. Committee members were Taylor Tucker, chairman; Symone Davis, co-chairman; Tevin McGuire, Kelsey Ford, Heather Molden, Madison Stanton, Brianna Cry, Hayley Murphy, Reggie Fullwood, Bryant Miller, Tosh McGee, Zykeyous Hawkins, Jamieson Banks, Deja Bradford, Joyia Petty, Will April, Lauran Sheriff, and Chelsea Francios. The committee thanked BankPlus for sponsorship of the program. View all the photos from the program here.